Comics are full of strange characters. Many of said characters are part of the gallery of figures that revolve around Batman. That includes Bat-Mite. Players of the DC Universe Miniatures Game and the Batman Miniatures Game will be able to pick up this pint-sized fellow at Gen Con. Today we are pleased to reveal a very special addition to our DCU and Batman Miniature Games. 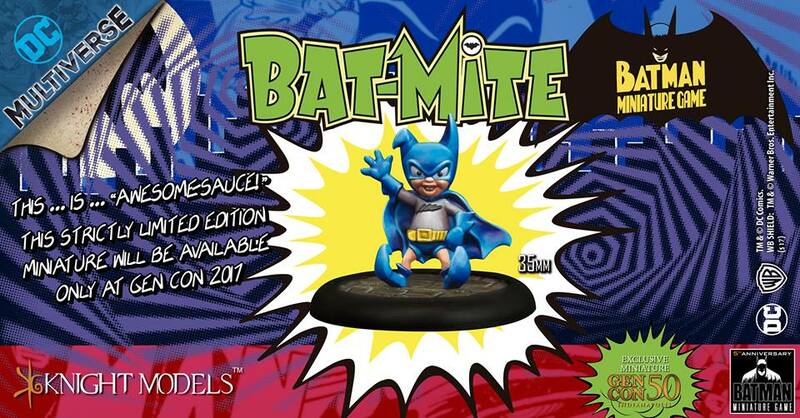 Introducing the one and only… BAT-MITE! This strictly limited edition miniature will be available only at Gen Con 2017, so get it while it’s hot. But remember… don’t call him an Elf!